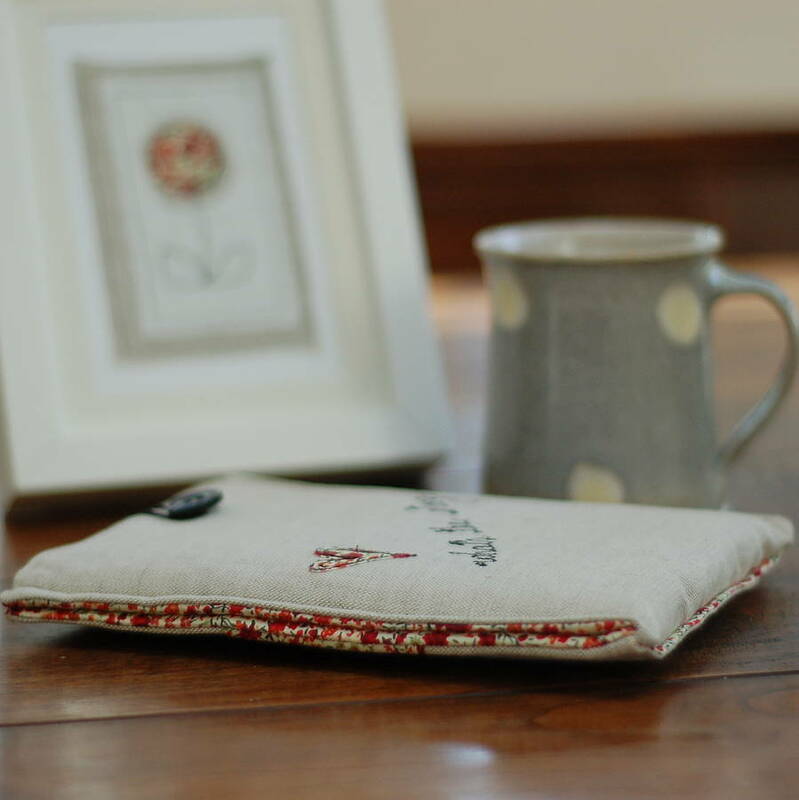 This beautiful handmade linen and Liberty print Kindle case will keep your Kindle safe and makes a perfect gift for any reader. 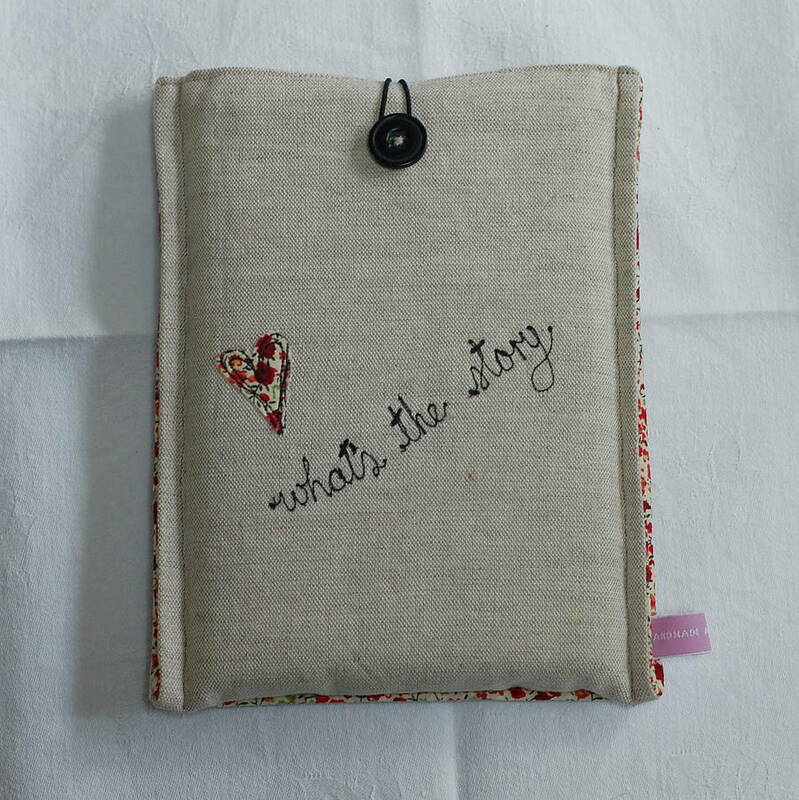 This elegant Kindle cover makes a wonderful gift, the timeless appeal of classic linen and Liberty print will appeal to modern women, young girls, mothers and even grandmas. 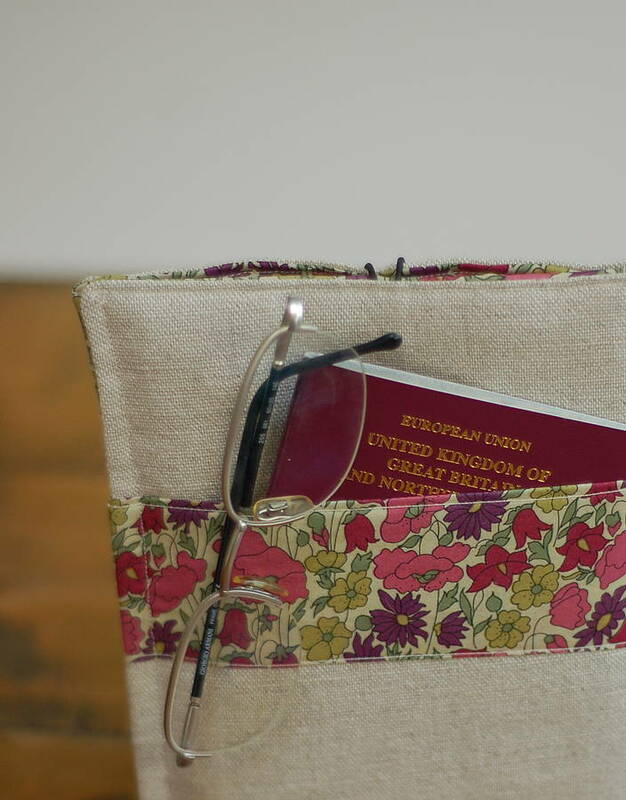 The contemporary design has a vintage edge and cleverly incorporates a useful pocket which is perfect for keeping reading glasses handy or a passport and boarding card safe when travelling. 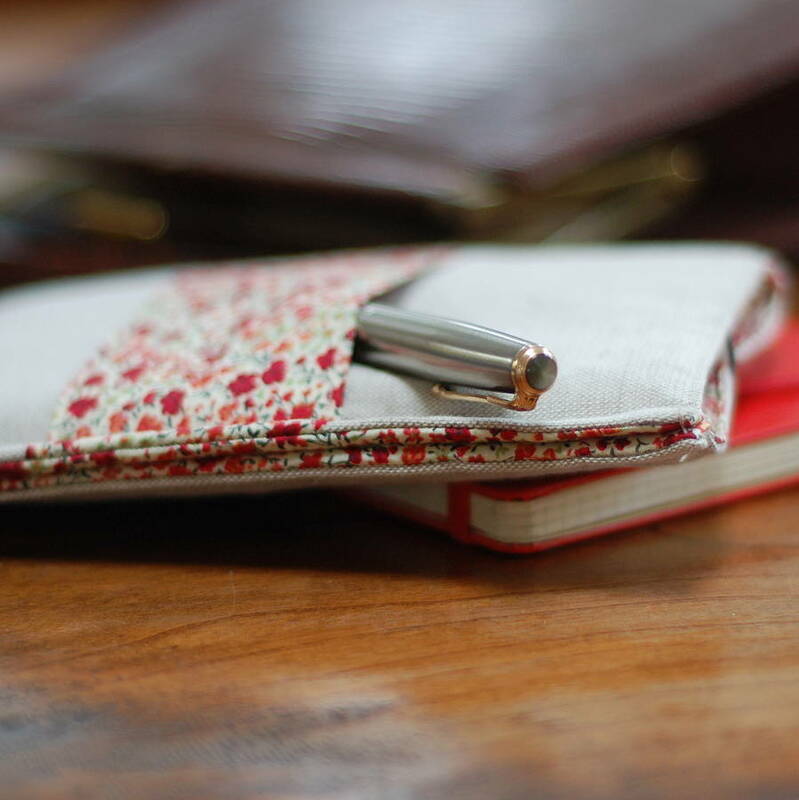 Commuters will love the ability to keep their train ticket or Oyster card to hand. 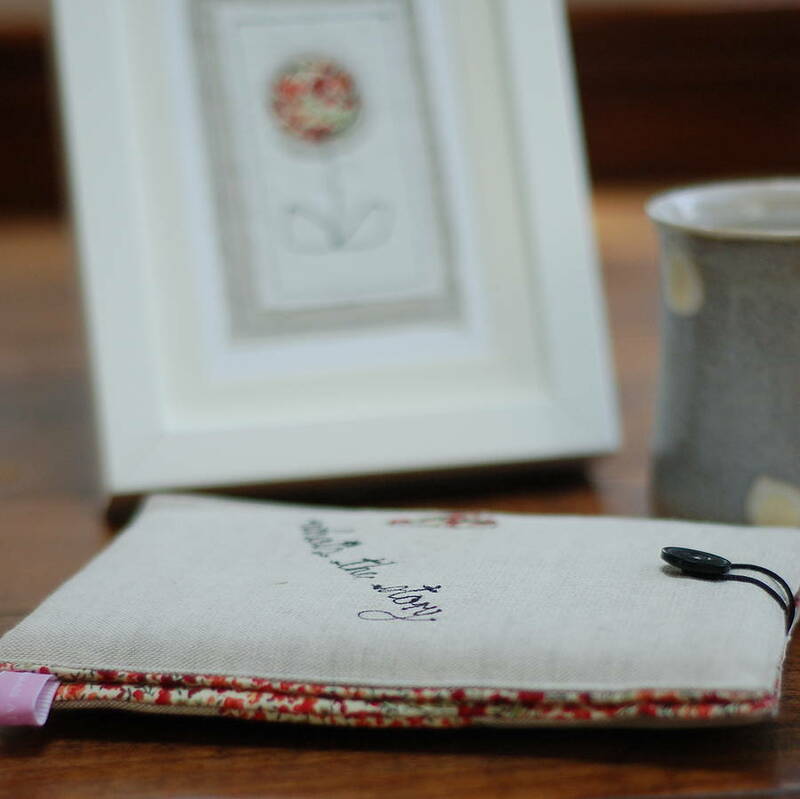 A perfect present for any reader, they will love giving their modern gadget a feminine edge and these covers co-ordinate beautifully with other items in our range. 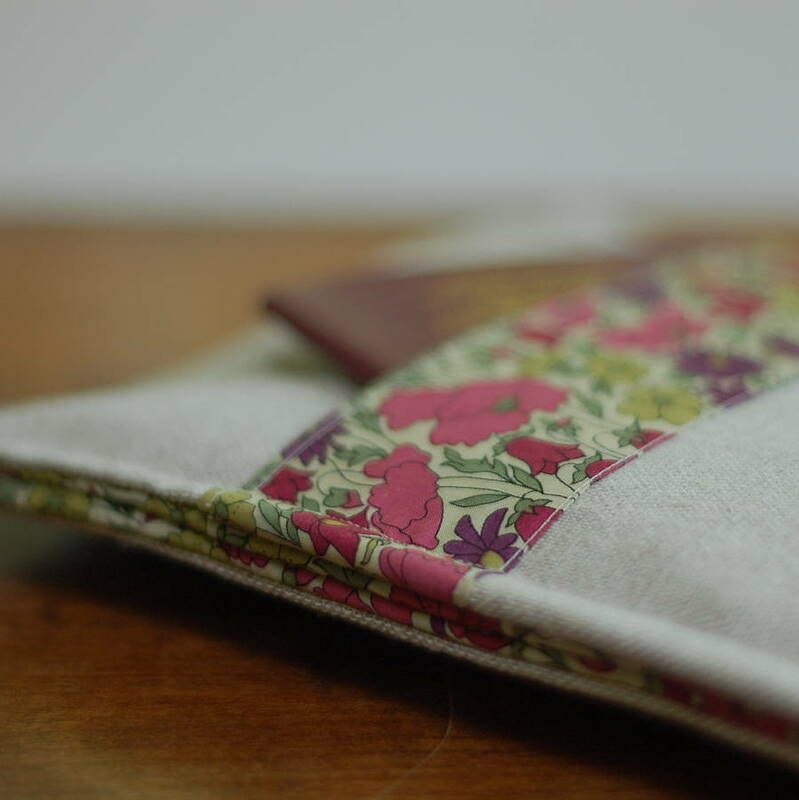 The Kindle case is made from high quality natural ecru coloured linen and a choice of two beautiful floral Liberty print linings - the small red floral Phoebe print or the purple and pink Poppy and Daisy print, please use the drop down menu to choose your fabric. 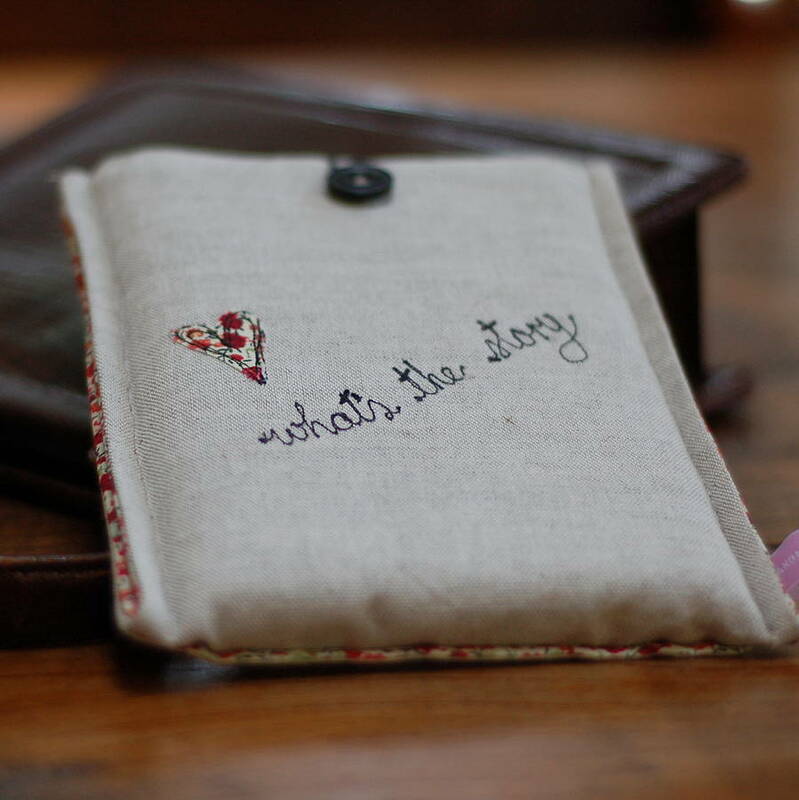 The front of the case is decorated with a matching Liberty print heart and freehand embroidery spelling out the phrase "what's the story?". The case fastens with an elastic loop and button closure and is padded for extra protection. Please note that buttons used come from our collection of vintage buttons and may vary from case to case. As this is a handmade product fabric placement may vary. Handmade in Suffolk, Britain using 100% linen, Liberty of London Tana Lawn cotton, interfacing, padded wadding, elastic and vintage button. This modern Kindle cosy measures 19cm by 14cm and has been designed with the Kindle 4 in mind, it will also fit older model Kindles and other E-Readers, please check dimensions carefully. Please note that we offer free delivery on all UK orders and as we use Royal Mail to deliver we are delighted to be able to refund any surcharge made to customers in Northern Ireland, Highlands and Islands. Unfortunately we are not currently able to override the automatic charge made at the time of purchase but willl refund the postage within 48 hours of ordering.